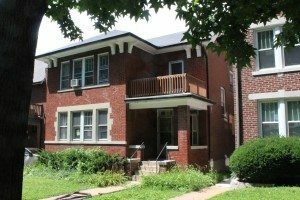 Insulation Contractors, Foam Engineers, were chosen to insulate a home renovation in Clayton, Missouri. Clayton is a suburb of Saint Louis and boasts a large business district. There are many historic, beautiful neighborhoods. This home was near the DeMun neighborhood. Foam Engineers provides service to the Greater St. Louis area and surrounding communities. 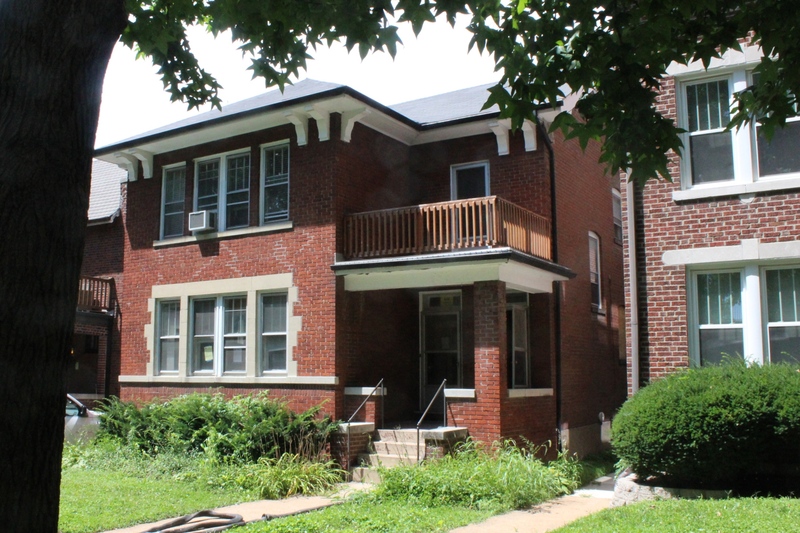 This home in Clayton is currently undergoing renovations. Foam Engineers was contracted to insulate it. The two story home needed exterior wall repair in certain areas. 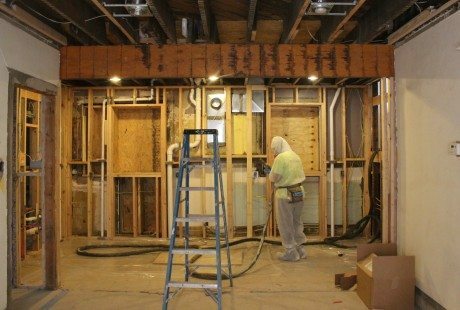 The drywall was removed and the walls were re-framed. 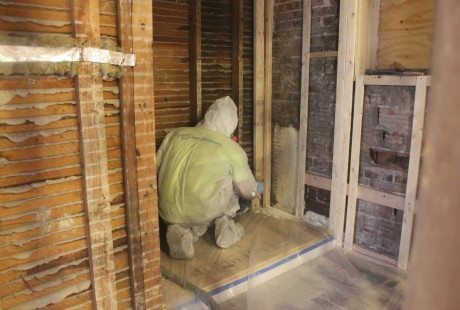 On the main floor, the exterior walls in the bathroom, kitchen, and underneath the staircase were insulated with closed cell spray foam. The exterior wall of the second story bathroom was coated in closed cell spray foam as well. The underside of the ceilings on the second level was sprayed with 4″ of open cell spray foam. Not only will the open cell foam be highly insulating, but it will also help with sound attenuation. This means it will help absorb and diffuse noise, making the home quieter. Spray foam is perfect for homes both new and old. 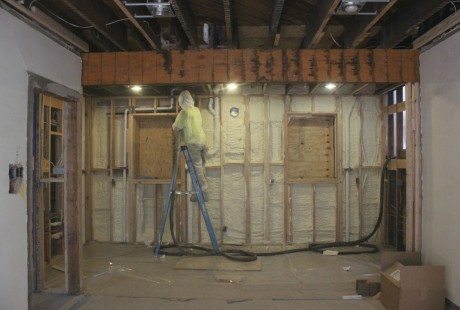 In this case, the contractor took advantage of the wall repair and decided to choose insulation that would provide optimum efficiency for years to come. Before: Foam Engineers prepares to apply closed cell spray foam to the exterior kitchen wall. 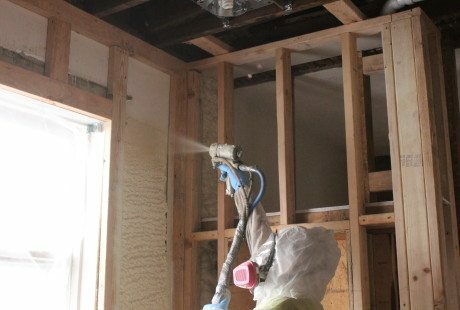 Closed cell spray foam is much more dense than open cell spray foam. After: Finishing touches are added to the kitchen wall. The foam was applied 1"-2" deep depending on the area. Foam Engineers applies 2" of closed cell spray foam to the area underneath the stairs. 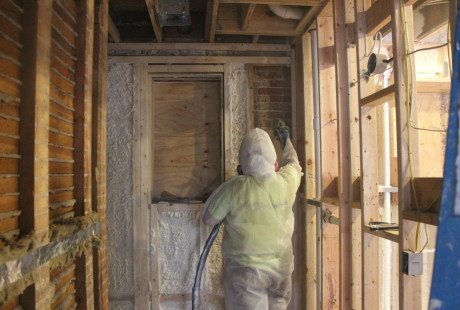 Spray foam is applied directly to the original building exterior in the first floor bathroom. 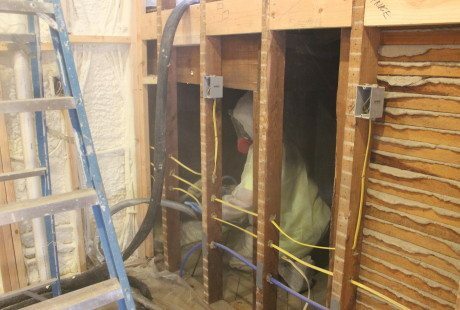 Two inches of closed cell spray foam was applied in the bathroom. Spray foam adheres to a large variety of surfaces. 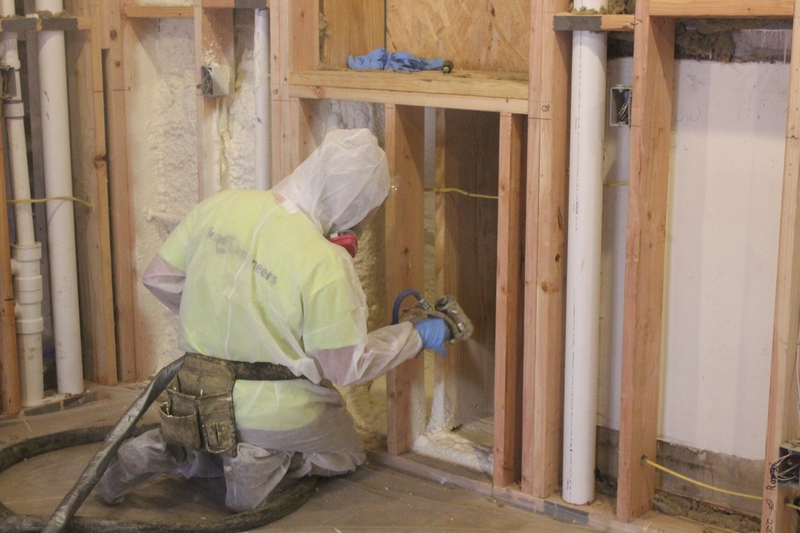 Closed cell spray foam is applied to the second floor bathroom. The exposed ceiling above was then sprayed with 4" of open cell spray foam. Double the foam rigs = double the fun!